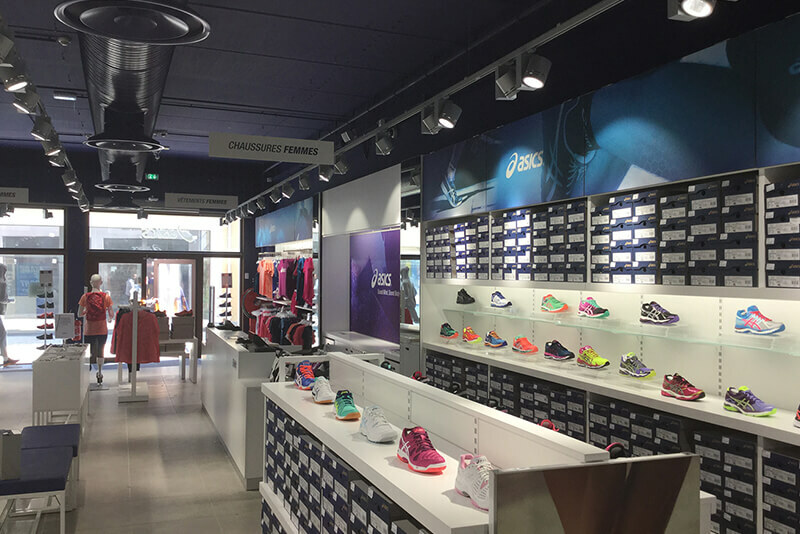 Good shopfitting requires structured planning and well organised scheduling which is why ASICS, the multinational sports equipment manufacturer, contacted Shopworks to project manage the construction, layout and fit-out of their 180m2 store located in the new McArthurGlen brand village in Miramas, Southern France. 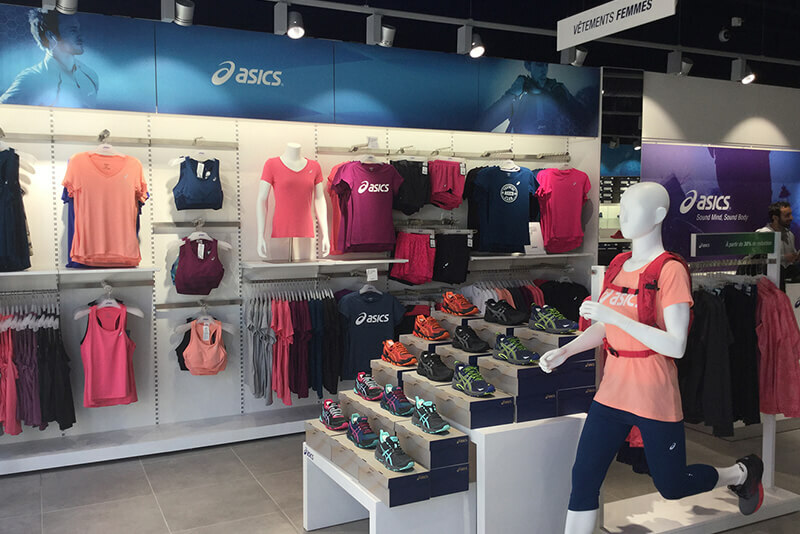 From start to finish the shop fit took just 4 weeks and ensured that ASICS were up and running for when the brand village with Provençal inspired design and architecture opened it’s doors on April 13. 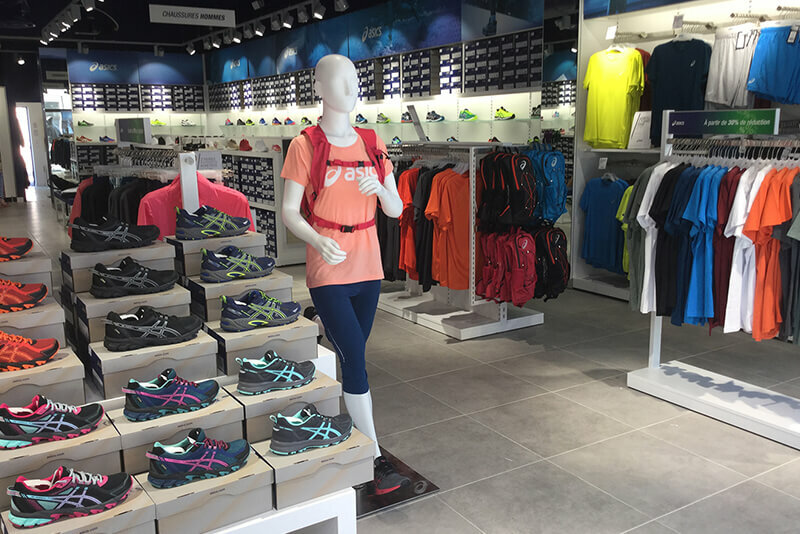 The very nature of shopfitting means that there are unpredictable challenges and this project was no exception. 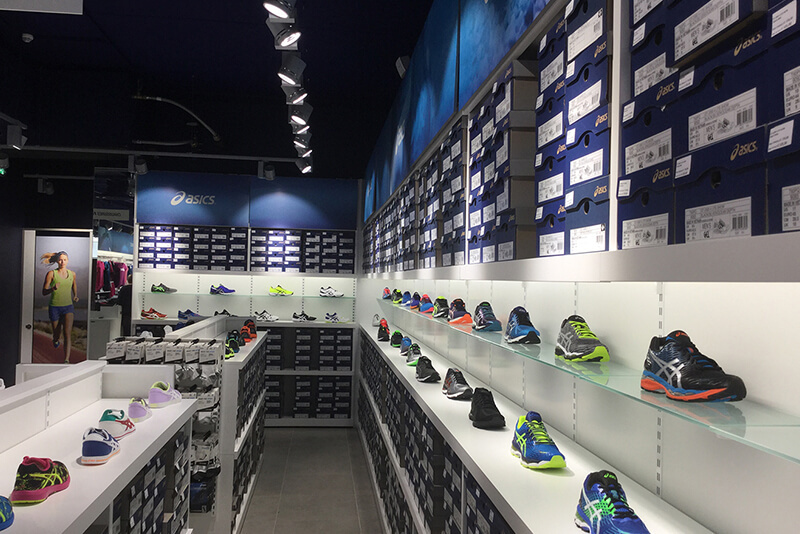 Modifications were also required for the furniture and lighting elements to ensure that the layout kept to the original design plans. 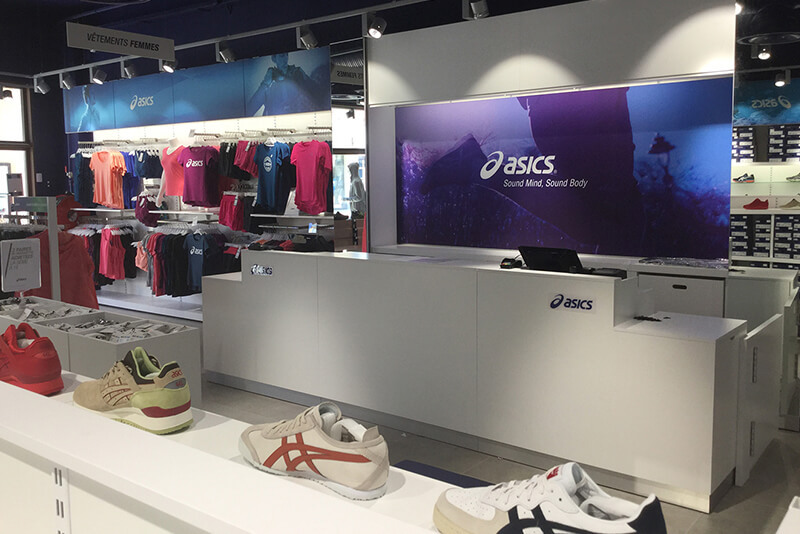 Shopfitting success relies on a detailed understanding of the client’s individual requirements and we worked closely with the ASICS retail delivery team to ensure the final fit-out met their requirements exactly. 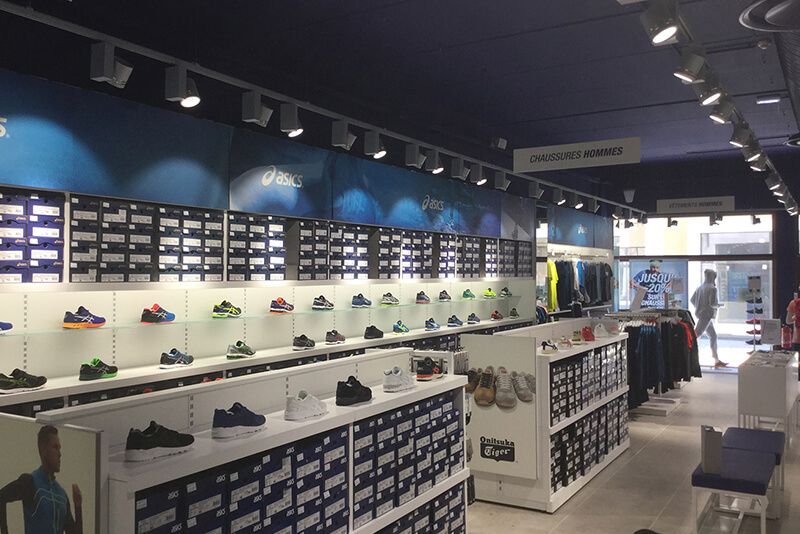 Working alongside a team of specialist fitters Shopworks delivered the installation on time and on budget. Good communication with everyone involved meant that rapid solutions were found for the problems encountered during the project.